Not the turkey day, but one that is close. 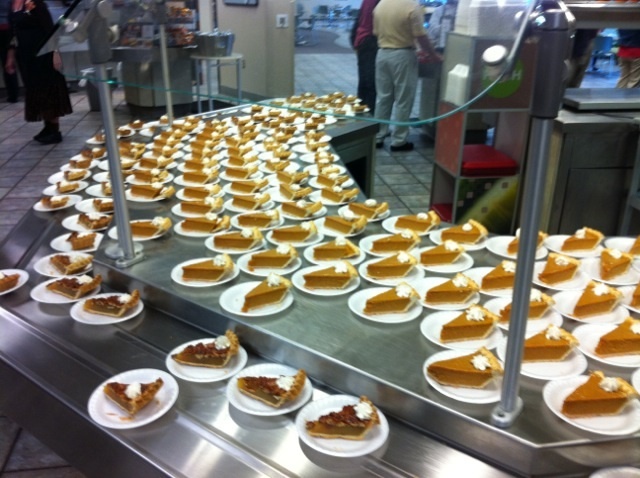 It was Thanksgiving Lunch day in the LifeWay cafe. People waited anxiously for the doors to open guarding their place in line with their very lives. The new folks could only stare in confusion. What is this Turkey Day you speak of? It was 10:59 a.m. and some could wait no longer. We all knew what awaited us on the other side. 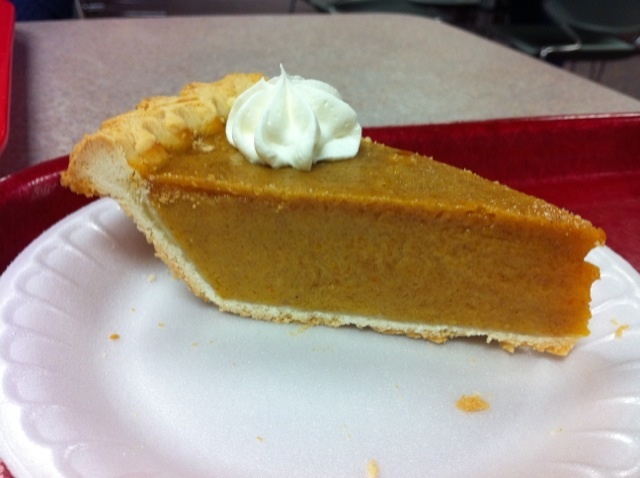 I would like to take this opportunity to thank the Lord for the beauty that is pumpkin pie for it is good. 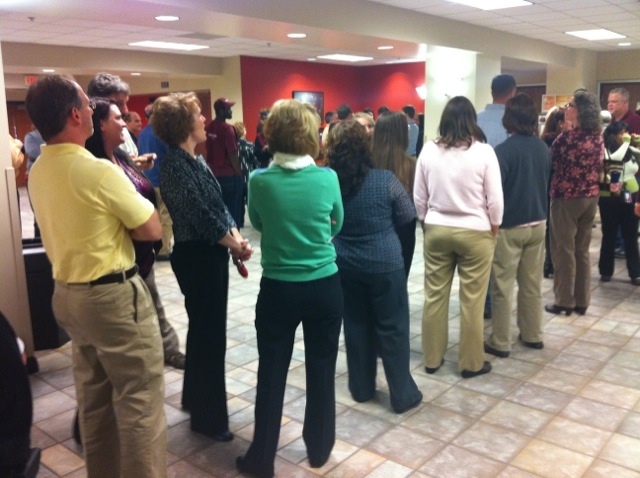 Then, everyone makes their way to the serving line. 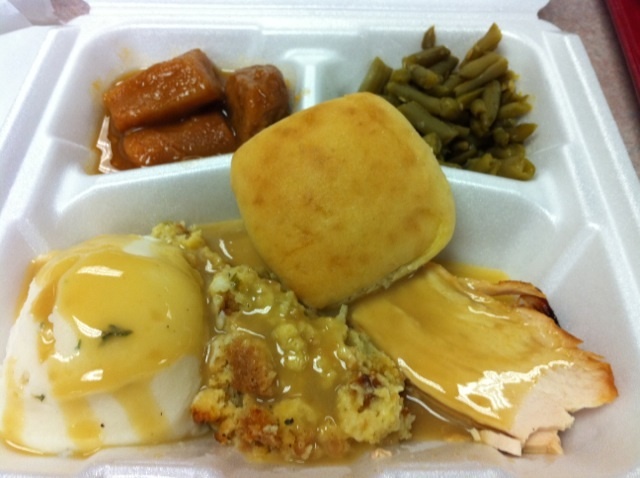 Where Rob heaps mounds of Thanksgiving goodness into your styrofoam container. And you walk away with a happy heart and a side of gravy. And…your very own almost thawed out piece of pie. The way the ice crystals shine in the florescent light? It’s a thing of beauty. 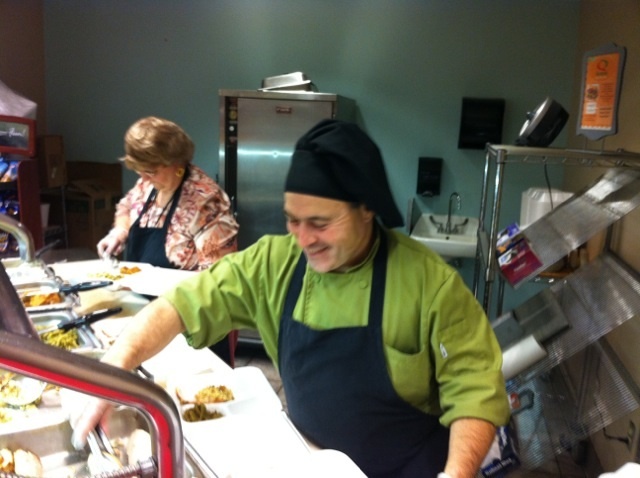 Though it is hard to think of something that could top the food…the fellowship is quite nice as well. 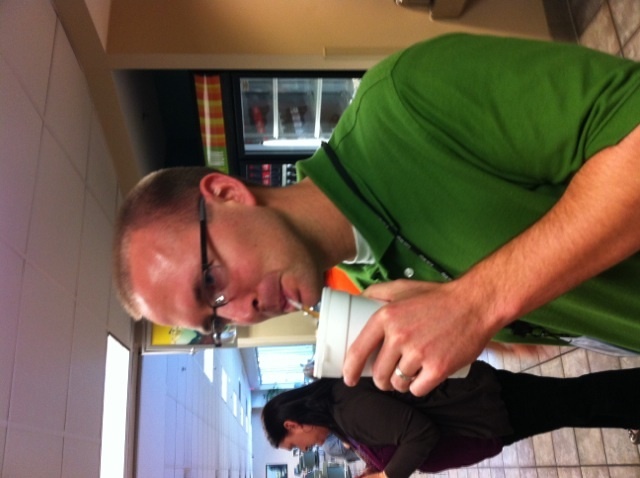 Yes, Turkey Day is a tradition at LifeWay. I can’t think of anything that compares…well, maybe Pretzel Day. Well girl, I must say, you are an artist with the keyboard! I was once invited to Turkey Day. I don’t know what I did, because I was never invited again. I have never been the same. Maybe I’ll be invited again next year. One can only hope! 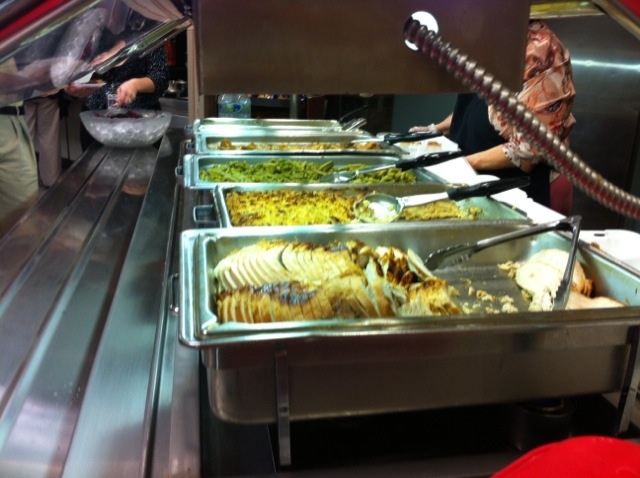 Well, I hope our Thanksgiving meal looks that good! What a fun event, wish I could join in the fun! Blessings to you! 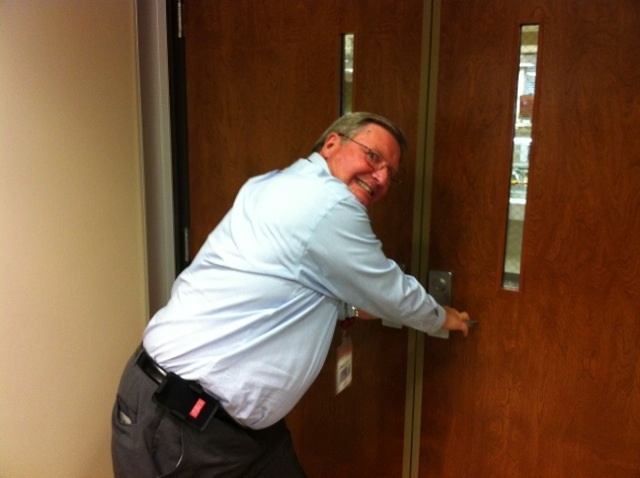 How fun…kinda makes me wish I worked at Lifeway! Have a great weekend! Looks like a fun tradition!!!!! It reminded also reminded me of pretzel day from The Office. Haha.